A Staffordshire snooker club has suffered an attempted break-in for a second time in less than a year after it moved to new premises. 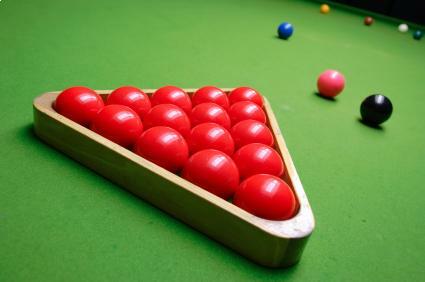 The latest break-in at Green Baize, in Hanley, Stoke on Trent, failed because the club had installed metal bars over its windows following the first burglary in February last year. However, staff were left with a broken window to replace and a clean-up operation after the attempt. Whatever type of business you run, it is essential that you have adequate business insurance to protect your property and its contents. In this case, the snooker club was fortunate that the attempted break-in failed, but it lost cash in the previous burglary last year. CCTV pictures from the club showed someone approaching the building. A log was discovered outside, which the offender had apparently used to stand on to reach the window that was broken. The Green Baize moved to its current location early last year after road changes meant that it was not getting the same level of trade as it was before. But weeks after shifting to the venue off Town Road, there was a break-in in which cash was stolen. Adrian Gomm and Karen Elliott who co-own the club told the Stoke Sentinel that they were “disheartened” after the latest attempted burglary. Mr Gomm said: "We are trying to make a success of the business and things like this just don't help us. We have been left with the repair bill and also the mess of what has happened." Ms Elliott added that the bars on the window are clearly visible so it was unclear what the offender was trying to achieve. The business is hoping that police will be able to obtain more information both from its own CCTV images and those from a nearby restaurant.